Earlier in the year, some students were struggling when putting together a Chinese Dragon for a social studies presentation. They wanted to find a way to attach a large fabric sheet to a cardboard box in a way that allowed for adjustability and easy removal, but secure enough to hold everything in place for the performance. They rigged up a solution similar to a cotter pin using binder clips, pencils and elastic bands. We saw the value in that kind of problem-solving and recognized maker spaces as a way to engage everyone in design challenges. Too often, though, maker spaces are associated with pricey gadgets, apps, and materials, and while there can be value in using technology, we felt that there was more value working from the ground up. Earlier in the year we had students craft primitive tools from scratch and then use their own tools to perform tasks and create additional tools.Their appreciation for the very basic technologies that contribute to human achievement was obvious in their struggles and pride in their accomplishments. It also doesn't hurt that this approach is possible with an almost $0 budget. My teaching partner and I identified some core principles for our project: that students would identify an ill-defined goal, understand problems and design solutions in an iterative process of testing and revision. We kicked off the endeavour with some "Paper Olympics" challenge where students had to design solutions to simple problems - spanning a gap with and without supports, strengthening materials, achieving buoyancy, etc. We also watched the now-famous "Caine's Arcade" video with our students. The students were completely intrigued with the interactive arcade games so we brainstormed a range of familiar arcade and carnival games. Together we identified some criteria and constraints. The arcade game had to have at least one mechanical component, be intuitive to use (no instructions required), and have a "fun factor". Students were limited to using the contents of our home and school recycling bins, and some basic office supplies (paper clips, binder clips, elastic bands, string, etc.) and we offered a variety of adhesives. The most expensive part of the whole project was the large box of hot glue sticks we consumed!. As subject generalists in the context of a middle-years homeroom setting, we look for curricular integration opportunities. The math element is pretty straightforward - nets of 3D objects, volume and surface area, Pythagoras for sloped surfaces. For the English Language component, we embraced the inventor's notebook. 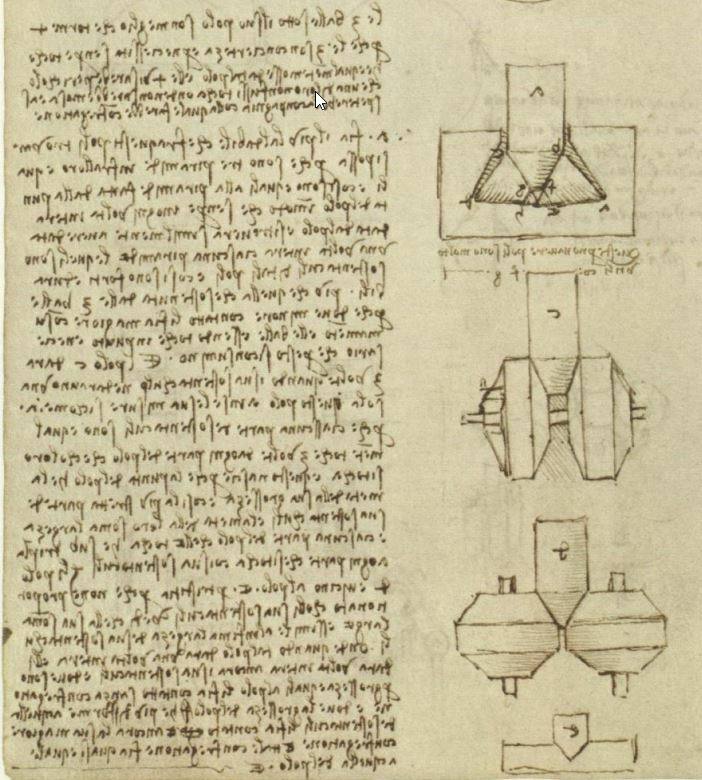 We explored some of da Vinci's notebooks to see how the Renaissance polymath thought, reflected, designed, revised, documented, and explored ideas. Throughout the project, students sketched their plans, described their intentions, designed and tested prototypes, documented their trials, and explained the thinking behind, and details of their revisions. Some observations: When students hit a roadblock to their design process, they often resorted to decorating or playing their games. We advised students to do so mindfully - think about the gameplay, the impact of the design. It was also common for students to get frustrated after a "failure". We talked a lot about gradual improvement, about not "throwing the baby out with the bathwater" when one element wasn't working as desired. Students also enjoyed checking out each others' projects. We encouraged them to offer suggestions, to compare notes, and to recognize the innovation, creativity, and effort that went into the work so far. It became a pretty supportive and enthusiastic workspace very quickly. This little 30 second Spark Video lists some of the key elements of the project over short clips of the students at work.